So last Friday my study day was lead by Dr Bill Sharpling at LonDEC and covered prosthetic impressions. There is a summary of what I learnt from the day. Heavy and light bodied silicone. Again this can be 1 stage or 2 stage. This is the orange and teal and the royal blue and teal impressions in the picture. Injection technique. Using putty and light bodied silicone, scooping out the silicone when set and injecting the light bodied into the space when the tray is seated. This is the lower impression in the picture. So, which is best technique? According to studies done at King's College London, the best technique i.e. the one with the fewest air blows and other surface defects and which captured the preparations in good detail was the heavy and light bodied silicone technique but only when it's in combination with a custom tray. Having been taught this method at university I am pretty familar with it, however now I'm out in practice I have been using the putty-wash technique. I prefer this technique so far - it's much easier to capture the margins of the preps with no air blows and putty is a neat material to use whilst the heavy-bodied silicone (we used Doric) was a messy material which took 5 minutes to set, whereas the setting time of putty is much less. It can be argued different preparations would suit different methods. So whilst putty-wash is a good technique to capture margins of PFM or all ceramic crowns, the heavy-light bodied silicone technique is much better at capturing more subtle margins such as for all metal crowns or veneers. Putty-wash also tends to push the silicone off the occlusal surfaces of teeth so if your preparation ends on an occlusal surface for example a gold onlay, then it may be better to use the heavy and light bodied silicone where you can 'float' the heavy body onto the prep in order to stop pushing the light-bodied silicone off. The injection technique really suits lower posterior teeth as it prevents the tongue from brushing away the light-bodied silicone from lingual surface of the prep. Monophase techniques suit dentists who tend to work on their own without a nurse such as in those in Europe. I really found using the monophase technique difficult as trying to dispense the material from the syringe was a bit of an effort as you have to put alot of force into pressing the syringe. And you will have a rudimentary custom tray! In the title picture, the bottom most impression was taken using a custom tray made in this way. 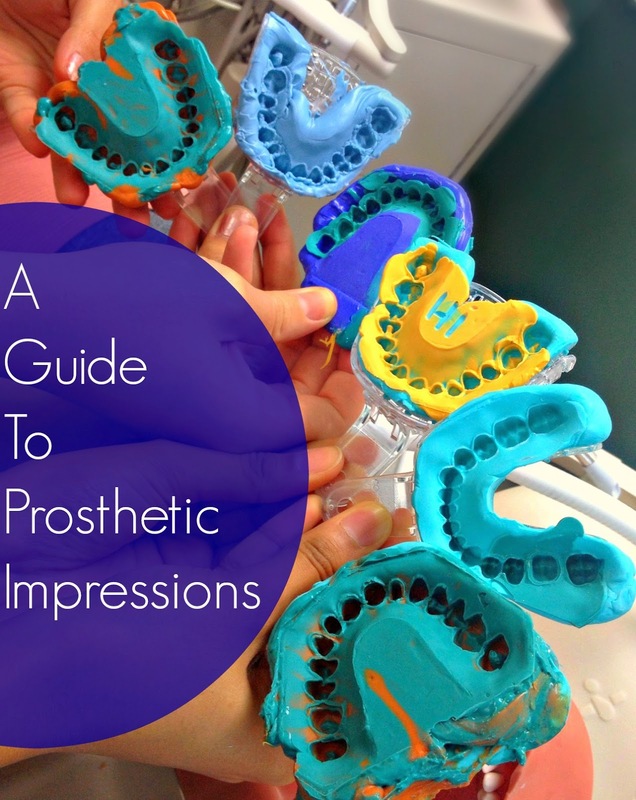 When taking impressions for removable prosthodontics, there will be 2 stages to consider: the preliminary impression and the secondary impressions. The main aim of the preliminary impression is to achieve a massively overextending area so that the technique can make an effective custom tray to capture sulcus depths and other soft tissue landmarks e.g. the post dam. The material of choice for most dentists is alginate, but impression compound can be used for complete dentures. Mix the alginate to a super smooth consistency - the best way to do this is to use an alginate mixing machine e.g. Algamix. Mixing by hand is ok but you'll get better results with machine mixing. For secondary impressions it is very important to BORDER MOULD in order to achieve good extensions. 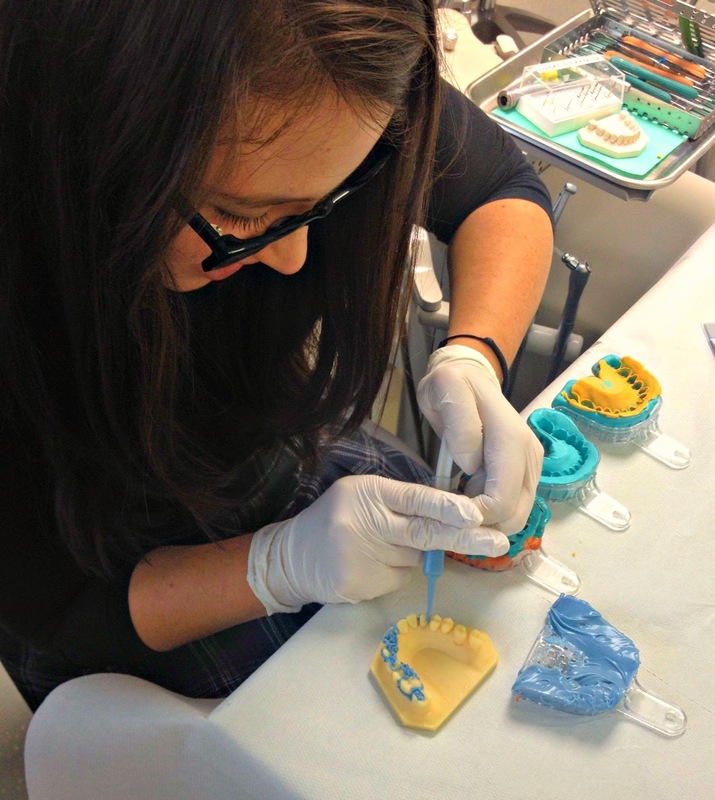 You can use wax, putty or greenstick around the periphery of your custom tray to achieve this. Which impression techniques do you use? Please leave your comments in the section below! Keep an eye out for future posts on some of my other study days!